Just thought I would be the first to introduce myself. 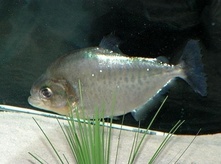 I am 30 years old live in S/E Michigan and have been keeping piranhas for about 7 years. I currently have 6 tanks running from 29 to 180 gallons. I keep south American fish and have kept many different types piranhas. If any one has any questions or needs any advise dont be afraid to ask. Re: Just thought I would be the first. Thanks guys for introducing yourselves to the site. I live in Sterling Heights Mi, I have kept piranha for little of 20 years now and it still feels like the first time every time I get a new piranha. I started this site so we can have a place to interact with other piranha hobbyist to learn and talk about the species we love the best. 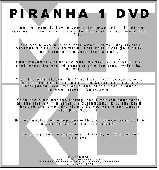 I look forward to making this a great piranha website for everyone to join and discuss about there piranha.